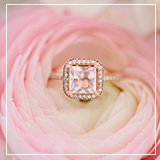 Today I came to the conclusion that I’m obsessed with pink, something totally unexpected on me… I’ve never like pink. 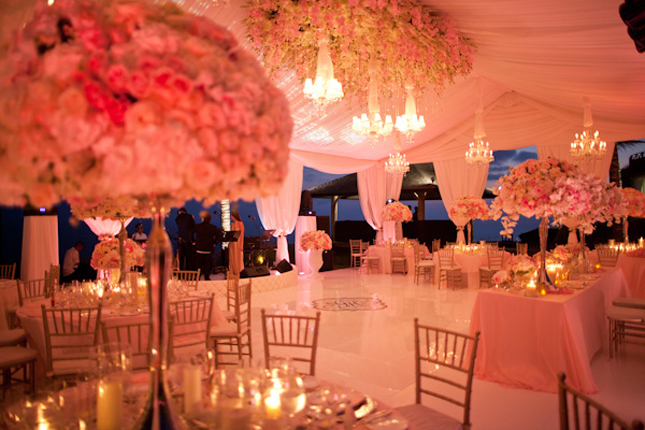 But lately, every time I find a wedding that impresses me somehow a soft shade of pink is involved. Is blush the new black? I don’t know.. 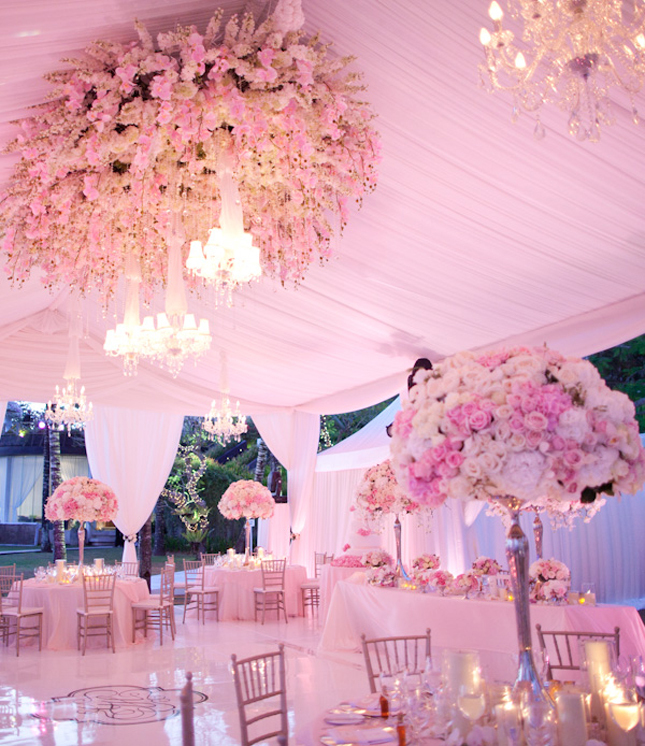 I just know that it is romantic, feminine and adds an elegant POC (pop-of-color) to any event. 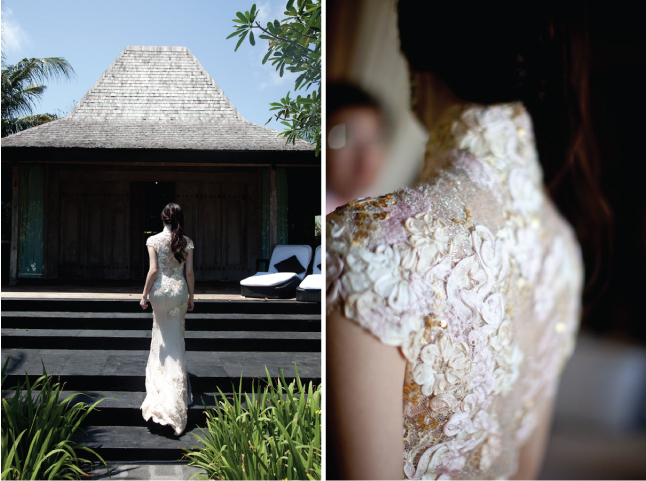 And the proof is this amazing Bali wedding photographed by Samuel Lippke. It isn’t just wow… It is WOW. It’s absolute perfection, I tell you. Absolute perfection. And I honestly can’t think of a better way to leave you for the weekend than in the company of this spectacular, steal-worthy event filled with trendy details. I would count every last trend along with you, let’s see how many can we spot. I have feature some of them here in Belle so follow the links and you’ll find more information about each trend plus some pretty examples. Lets satart with the magnificent location. 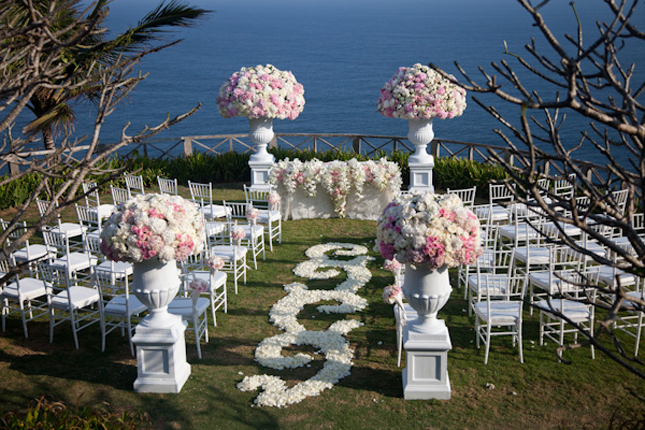 I mean, beach destination weddings are usually so romantic. 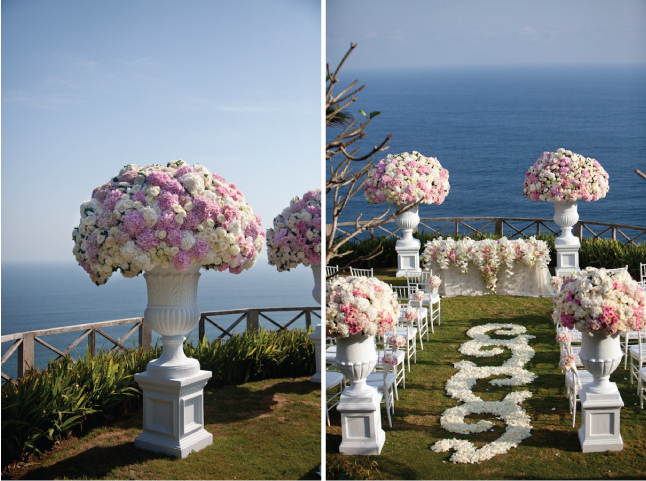 But, Bali takes seaside romance to a new level of fabulously with its mystical culture and exotic architecture. You know, I love a bride that rocks a lace back wedding gown (trend #1), especially if that dress happens to be gold (trend #2) with touches of pale pink… stunning! Does any body knows who’s the designer? 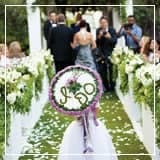 This outdoor ceremony décor is beautiful, although I think I’ve seen better ones (click here to see them, too), this one is still worth to pin into your ceremony decor inspiration board. I’m loving the pattern of petals on the isle! 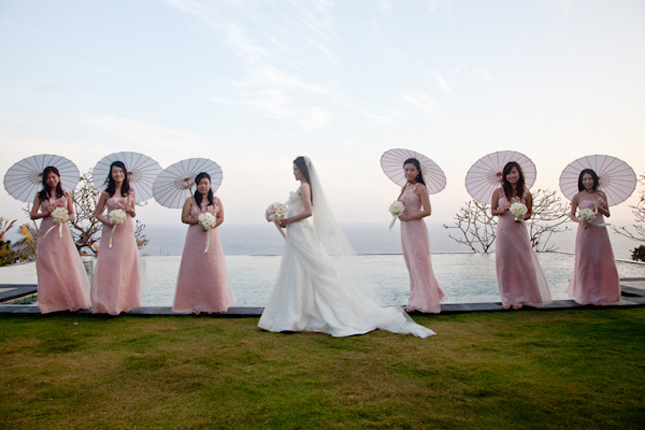 Yes, the blush bridesmaid dresses are pretty and the parasols are a lovely addition, but what really got me from this image is the photography of the talented Samuel Lippke.. it is just mind blowing! The steal-worthy idea: get a good photographer. 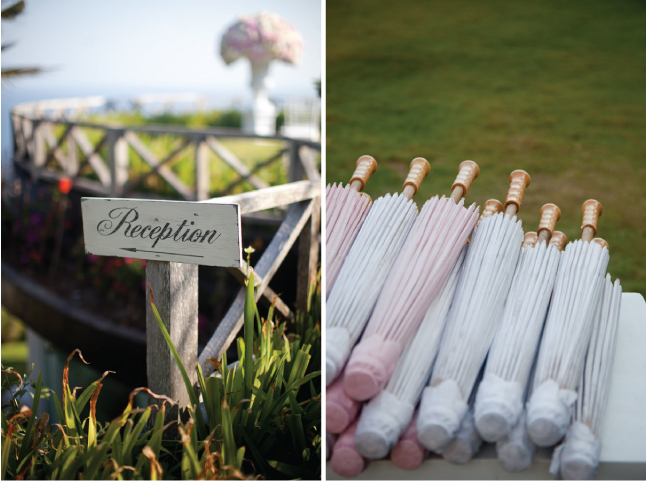 Wedding signs are having a moment (trend #3). 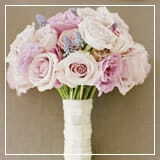 But, we usually get to see them in rustic or vintage events. So, kudos to the bride for showing that signs can be use in classic weddings, as well. 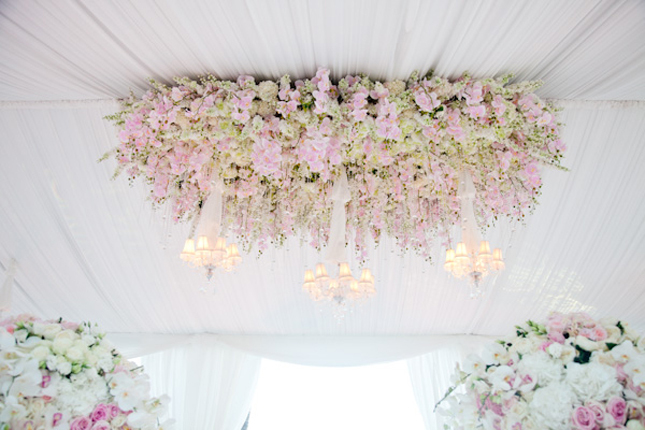 This gorgeous bride is defiantly in the know in terms of bridal fashion. She wore a second dress for the reception (trend #4). 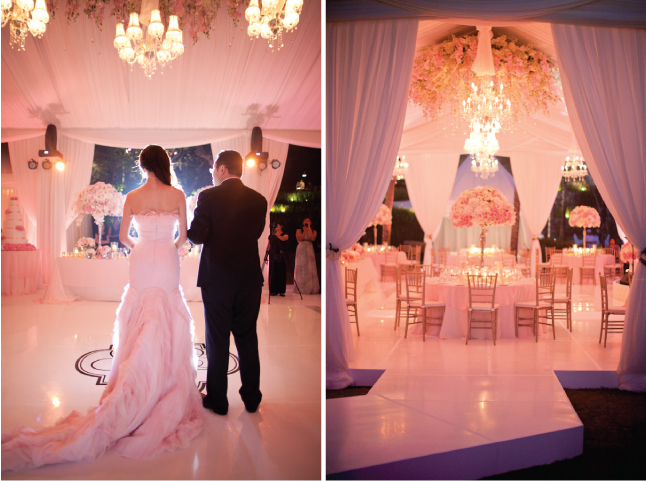 It was a breath-taking blush wedding gown (trend #5) that complemented her wedding colour palette to perfection. 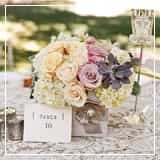 I have to admit that I’m not a big fan of roses, but these breath-taking centerpieces totally changed my mind. Thoughts? Oh and speaking of details…ummm, can you say flooring? 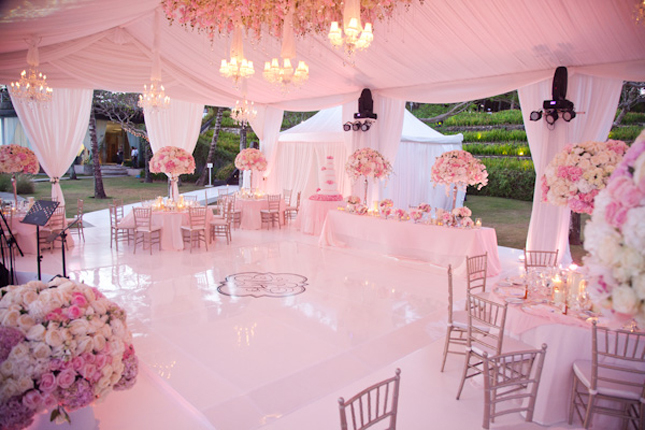 Yes, even the freaking floor was gorgeous at this wedding. 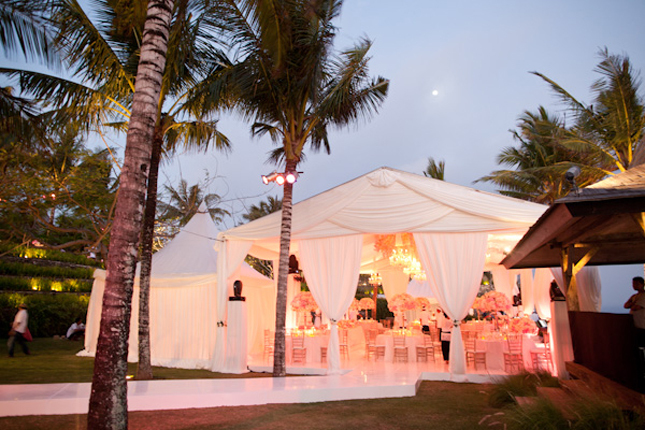 It cover the grassed area where the tents were placed and also provide a path for the guest to arrive to the reception. 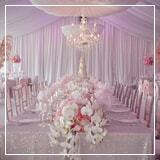 It was white and shiny, so it reflected the light and bring and extra sparkle to the decor. 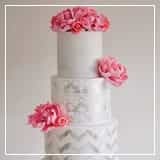 Ooohh and the monogram on the dance-floor was the icing on the already perfect cake! 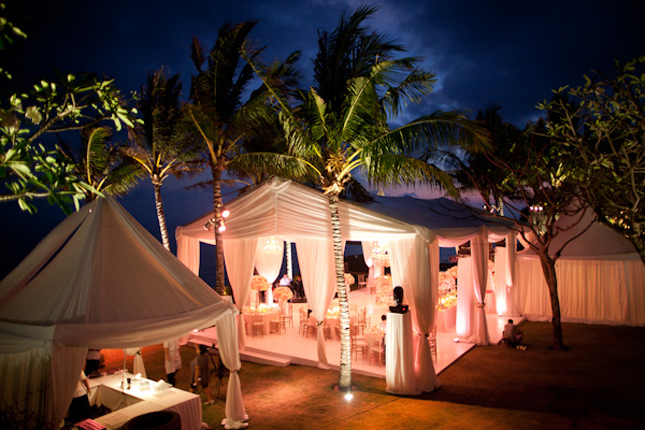 For my wedding re-do I would design a tented reception on not one tent, but several tents. Yep, just like this one. The cake display on this Bali fete is so lavish it hurts! 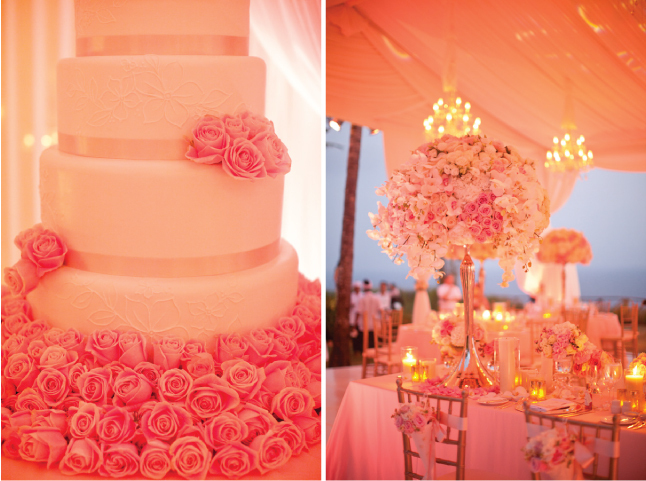 The bed of pink roses complements the floral accessory of the simple, yet elegant white laced cake (trend #7) in the most sophisticated way. And the parade of exquisite details isn’t over. 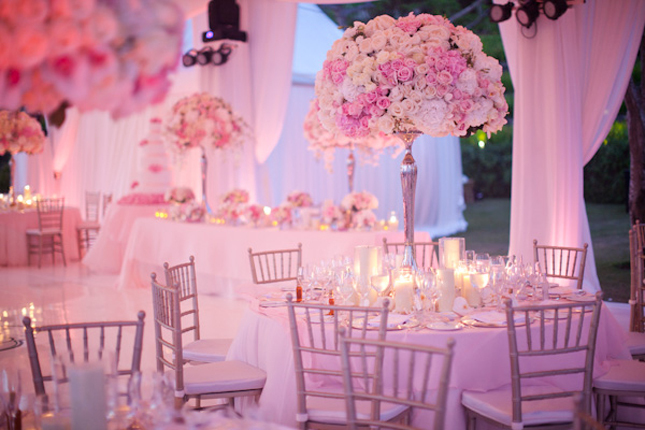 Just wait until you feast your eyes on the bride and groom chairs! 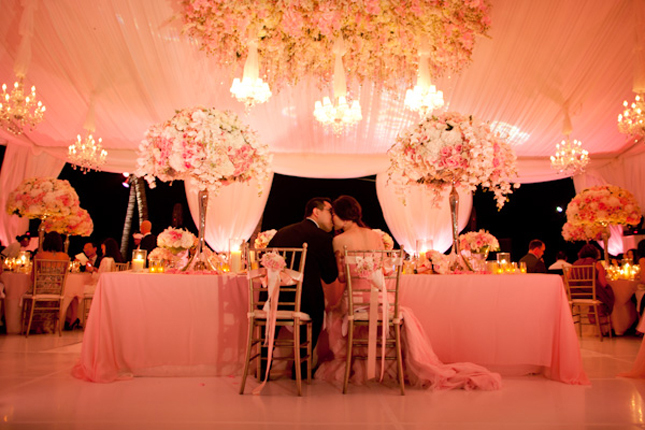 (trend #8) All I have left to say is, luxurious romance and its best! Photography by Samuel Lippke. 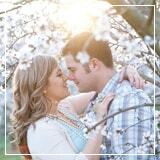 Please, stop by Samuel’s blog to see more pics of this beautiful nuptials. 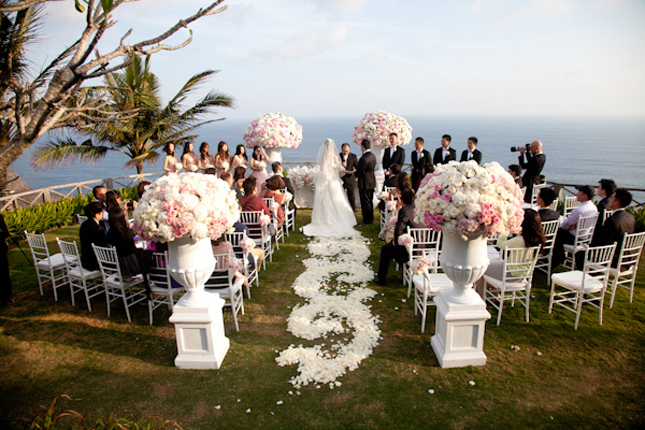 In the mood for more ridiculously gorgeous weddings? 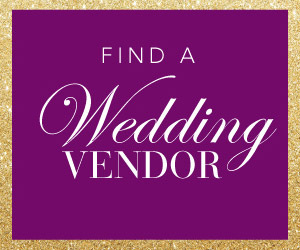 Then stop by my Steal Worthy Weddings section.